130 start-ups applied for the StartCup Ticino 2016. Yesterday the award ceremony took place in Lugano in front of an audience of 400 guests. Before the ceremony five finalists had the chance to present their start-up to investors at the Swiss Venture Day Ticino. The award ceremony at the Università della Svizzera italiana is an important event for the start-up scene in Ticino but also for the whole canton. “A great event for our territory and a great opportunity for improve creativity and innovation. The event is also an important help for startups in the early stage“, said Stefano Rizzi, Director of Divisione dell'economia, about the ceremony. 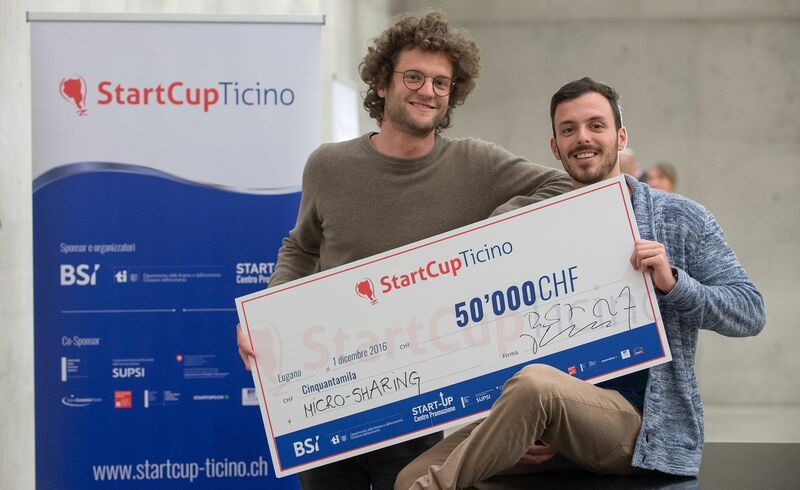 StartCup Ticino is an initiative of CP Startup promoted by the Regional Innovation System. Five finalists had the opprutinity to pitch to the audience: Micro Sharing, Skypull, Liberty, Skywhere and SmartCuff. In addition the two founders of Beehelpful, winner of the StartCup 2015, spoke about their achievements in the last year. Micro-Sharing (Project-Aqua) win the main prize of CHF 50’000. The project also received a scholarship (covering registration fees of CHF 45'000) for the Master in Business Administration at USI (EMBA). In addition, they will receive a total of CHF 5’600 for free consultancy activities by the other sponsor of prices (Connect Switzerland, STARTUPS.CH and yourCFO). The company Micro-Sharing is best known for its first product called “Project Aqua”. The project aims to give access to drinking water to the 663 million people who do not have it by offering optimized CSR solutions to retailers and leveraging a digital and innovative concept. Consumers can donate small amounts of money in an easy way and retailers and charities have state of the art tools to manage the donations. The start-up just finished a succesful pilot project with Migros in Ticino. “This recognition give us more time for searching partners which is at the moment the main task for our business. It also gives more visibility to our social project”, said Marco Righetti, one of the co-founders. Micro-Sharing is already in contact with a lot of producers and supplier for extending the project to others sectors and involve companies of different size. 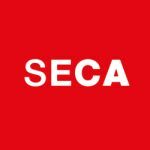 All the five finalists are automatically admitted to the second selection phase at the Swiss Economic Award. In the afternoon a Swiss Venture Day by Swiss Startup Invest and CP Startup took place at the University in Lugano. The five awarded companies pitched and were joined by Stagend who had the chance to present their startup in an elevator pitch. The afternoon event proofed the high quality of the start-ups from Ticino. Several of them e.g. Skywhere and Skypull have experienced teams, others such as Liberty and Micro Sharing a dedicated and very passionate team and start-ups like SmartCuff have a very innovative technology.